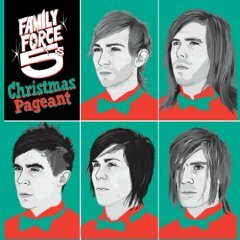 Family force five is a Christian crossover rock based band, focusing on a fun way for teens to worship & a musical environment. The three leading members of the band, Soul Glow Activatur, Phatty and Crouton, are sons of Jerome Olds, a Christian artist from the late 1980s. 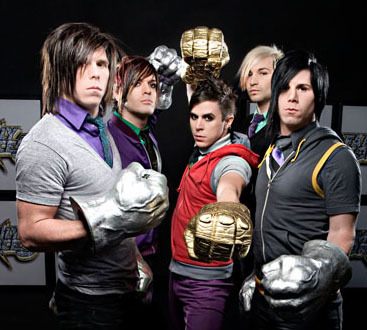 Prior to the formation of Family Force 5, the brothers were members of a "boy band" known as The Brothers, releasing Fact and Reality (1994) and RPM (1995). Both albums were released on Star Song Records, and produced by their father. A decade later, the band signed with Maverick Records for distribution to the mainstream market before signing to Gotee Records for the Christian market. The band sought out a dual recording deal in order to better distribute their music to both the mainstream market and the Christian market. According to Soul Glow Activatur, "To me, and pretty much anybody that's under my age, most Christian music is a turnoff. I don't want to be affiliated with that. I want to be affiliated with something that is great music. I feel that Maverick and Gotee together can pull that off." 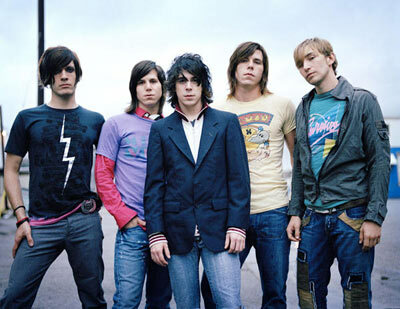 Their debut album, Business Up Front/Party in the Back (2006) has been both disparaged and praised by Christian and non-Christian critics respectively for not containing overtly Christian content in any of its tracks (with the exception of "Peachy", which was apparently written to convert a friend to Christianity and calls God by name). However, the band often does talk about singing for Jesus during their shows and occasionally one of the members (usually Phatty) leads a prayer at the end of the set. 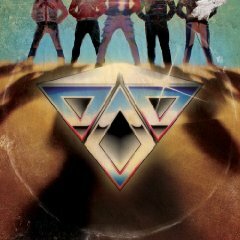 The group’s sophomore release, Dance Or Die (2009) oozes with over-the-top illustrations, charging out of the gate with funky rhythms, percolating club grooves, undeniably infectious hooks and instantaneous sing-a-longs. Imagine an inventive evolution of the band’s eye-opening debut album blended with Prince getting down at a Daft Punk concert where Michael Jackson busts out the moonwalk in the center of the dance floor.